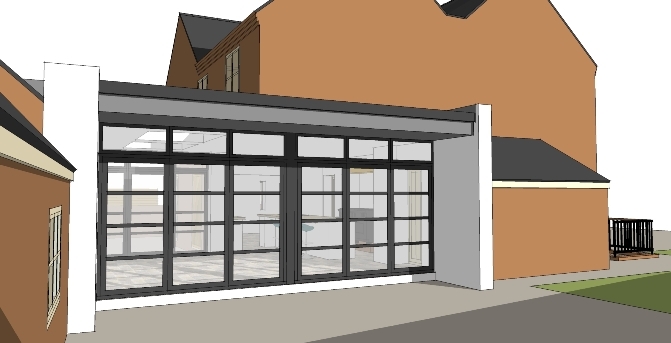 Our client approached bi Design to replace the existing link between their farmhouse and outbuildings with a space that could be integrated within the house transforming the kitchen and making the outbuilding part of the house. 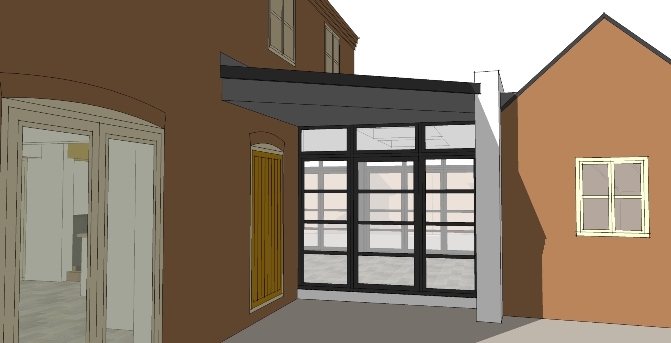 bi Design had previously developed the site which can be seen in residential developments so had a good knowledge of the property and the site constraints. 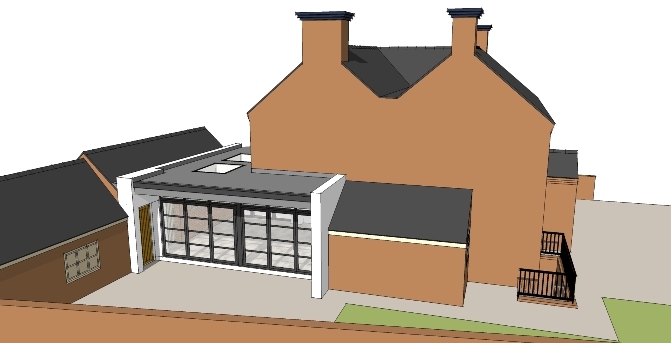 The initial concept was to create a contemporary link acting as a contrast to the main farm house which is within Barton under Needwoods conservation area. Trying to roof the link traditionally created a number of difficulties so an alternative approach was adopted. 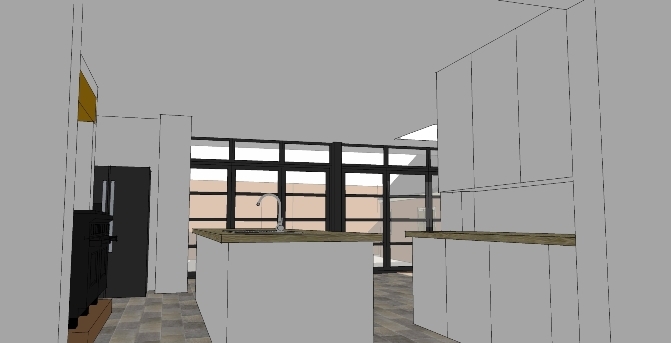 The challenge within the design was to support the existing corner of the house and chimney without the need for a post to create the open plan space the client wanted. 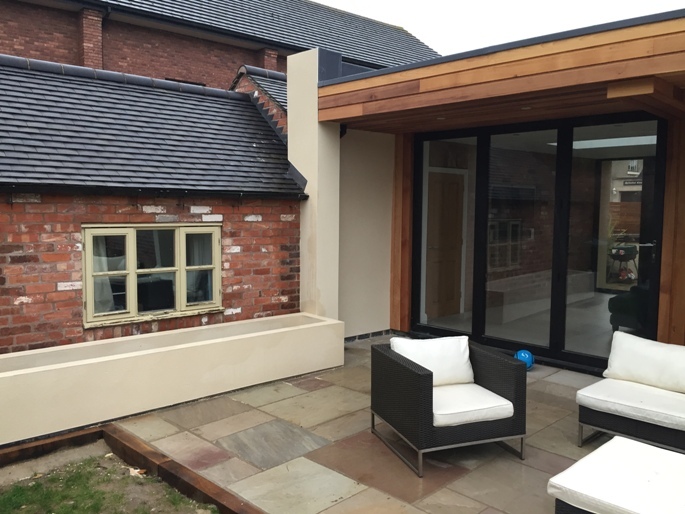 The outcome was to create a modern link with oversized glazing and white parapet walls. 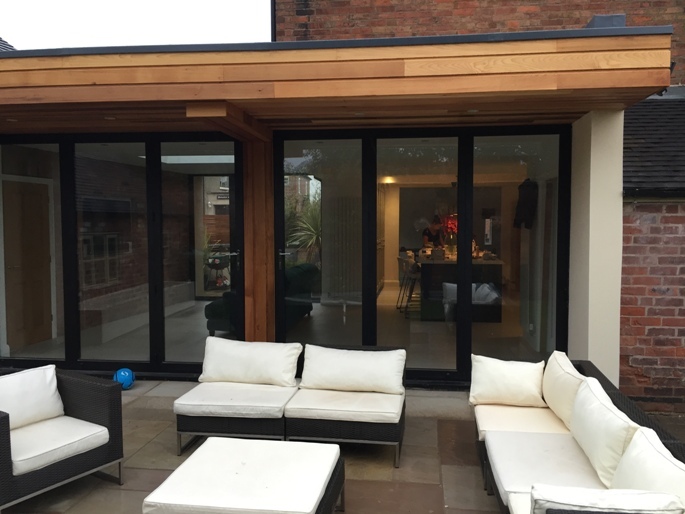 The flat roof was cantilevered over the doors to create a covered patio.